I don't tend to buy anything I can't develop on. That means I don't see myself buying any Apple, Sony, or Nintendo products in the near future. It may be a strange justification but my purchase of the Ouya was two fold in that I can play it and program for it. I've been playing with it for a week or two and I like it quite a bit. Naturally there are things that are wrong with it and things that are right. I don't want to rehash the things that others are whining about much so I won't. Go look if you are interested. 21 Oct - made the transition between a man and a suited man that is smoother and with a nice flash of light. Tomorrow night - autozoom for boss battles. I may work on the first boss also. i2b1 is now called I2a2a so this guy says. Here in this chart, you can see I'm 7% Viking! Yeah! Where is my warhammer!? 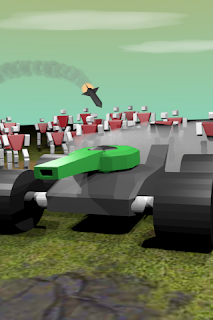 I have 'written' my first html5 game using assets from Hail of Gunfire. I will release it in the wild once I figure out how monetize it! Yeah! Keep checking back! I'm pretty sure I will host it on www.UnkAnd.com. It almost seems like the guncar is running away from all the little dudes and the rocket! Here's the announcement of my latest game. 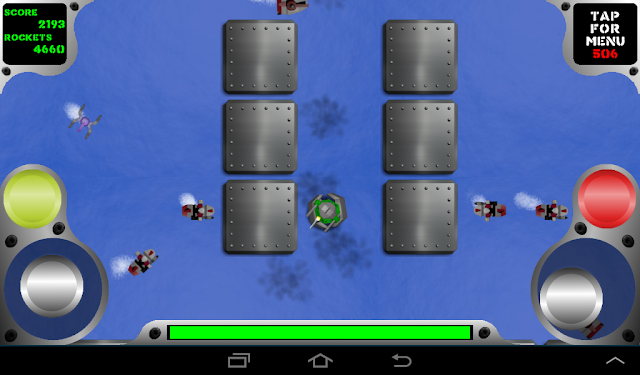 138 levels of Shoot Em' Up mayhem! I'm giving away my password. Leading up to big moment of password disclosure with a sentence like this has a purpose beyond what it appears to be- namely to garner suspense. The real reason for this wind up will be made known shortly as these first two sentences are merely filler like one would use in high school when told to write a 500 word essay. This is difficult when you only have a paragraph of substance. That's not why I am doing it, either. I just didn't want a preview to show I was not giving away my whole password or even telling you which on on the source page was mine. This the google plus preview(or search engine preview) of this post doesn't see the misleading nature of the title. The first few words might have caused you not to click on the post. Below here is the original post about a project I have abandoned due to lack of skill and/or interest:Check out my new site! Holy crap! I am very excited about my next project. There is nothing like it- the combination of two very popular genres. But, I'm not tellin what it is! Because it may just be a knee jerk reaction to the idea and it may prove to be more than I am willing to do. THEN WHY POST ABOUT IT AT ALL, YA DOOF? Because, I'm excited about it and no one is paying attention anyways! Hahahaha! It has something to do with SteamPunk. I'm not nearly as excited as before. I spent about a week studying the artform and then I had some dental work done which didn't go well. I've been practically incapacitated since then and that was about a week ago. All the Ibuprofen I was taking was making me sick. I have a job I need to work on first and after I'll start flipping bits for the next game.